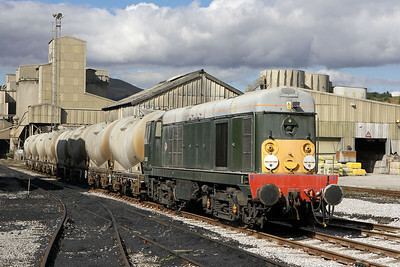 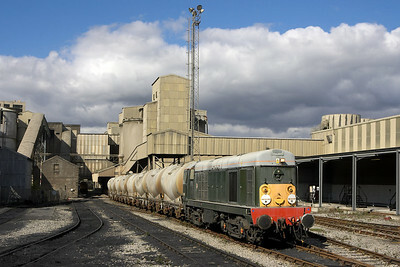 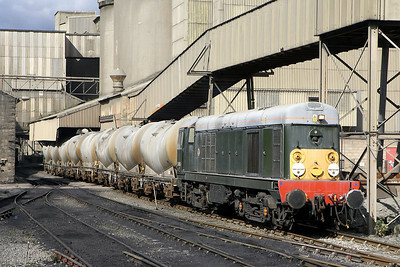 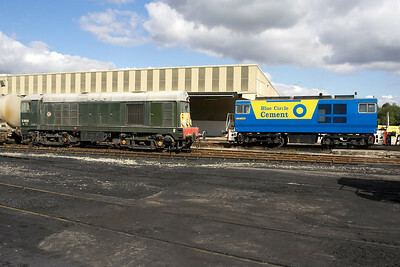 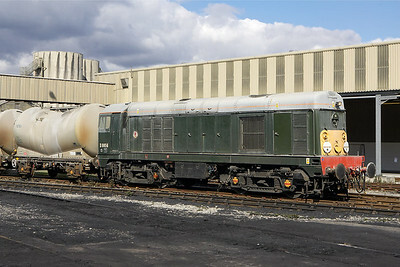 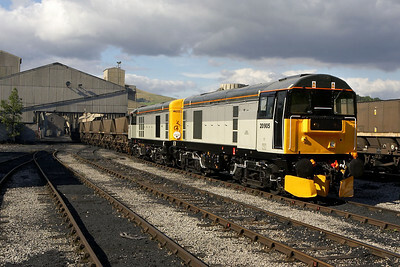 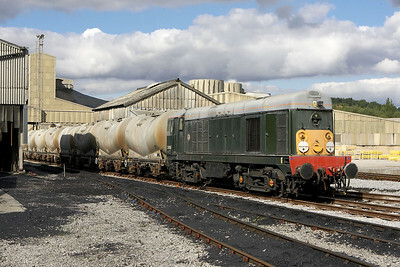 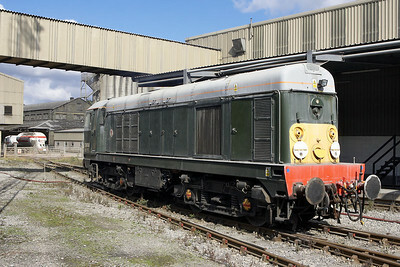 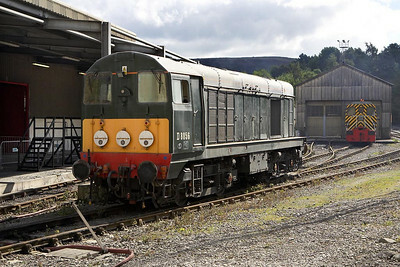 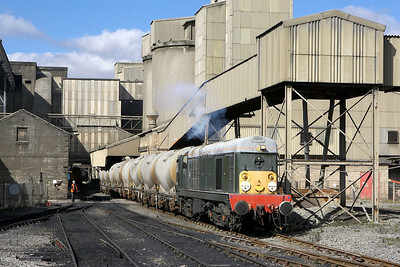 D8056 awaits its next duty at Hope cement works on 16/09/2005. 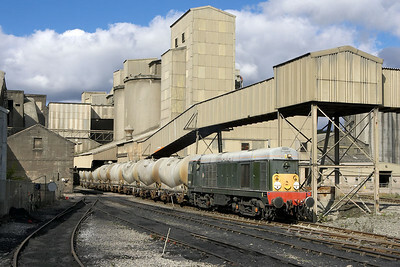 The next eight photographs illustrate 20168 at work loading a train of cement PCA's deep in the cement works at Hope on 16/09/2005. 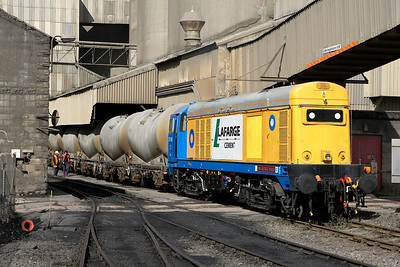 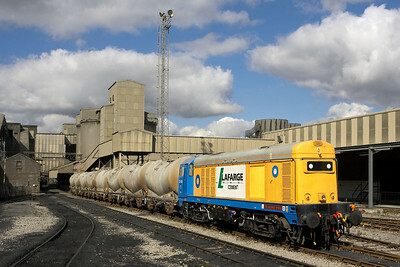 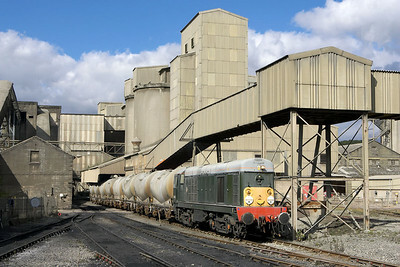 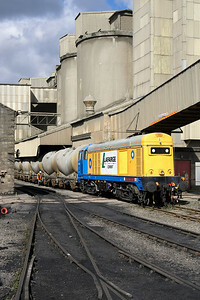 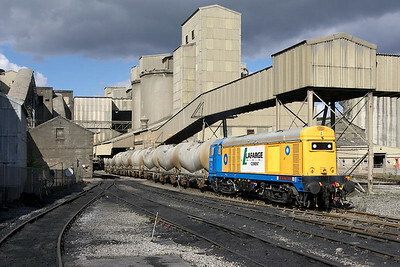 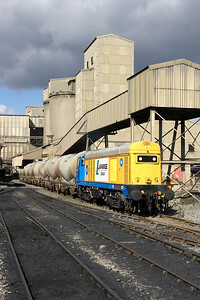 20168 loading cement PCA's at Hope cement works on 16/09/2005. 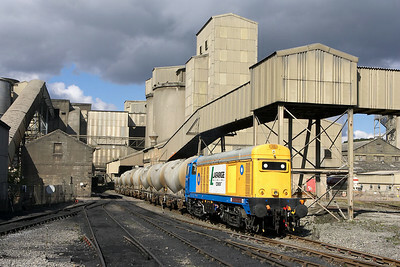 20168 draws the loaded PCA's clear of the crossing at Hope cement works on 16/09/2005. 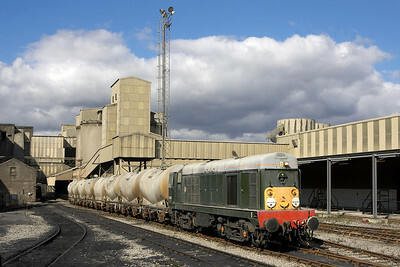 D8056 is pictured on a rake of PCA's at Hope cement works on 16/09/2005. 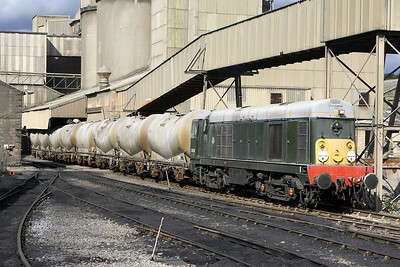 D8056 draws the loaded PCA's clear of the crossing deep inside the cement works at Hope on 16/09/2005. 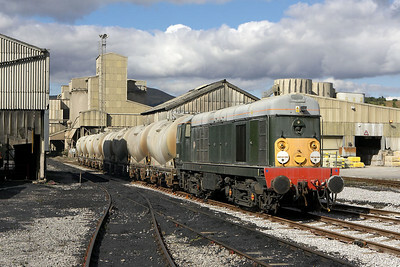 D8056 at Hope cement works on 16/09/2005. 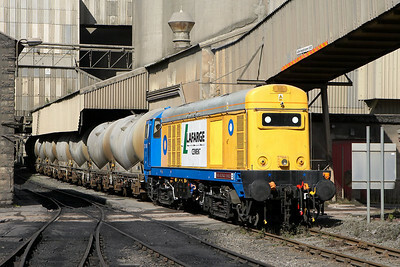 D8056 and Blue John at Hope cement works on 16/09/2005. 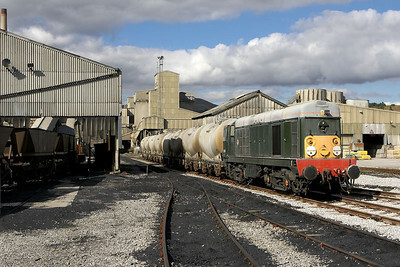 Having drawn the PCA's clear of the crossing, D8056 stands alongside the coal discharge shed at Hope cement works on 16/09/2005. 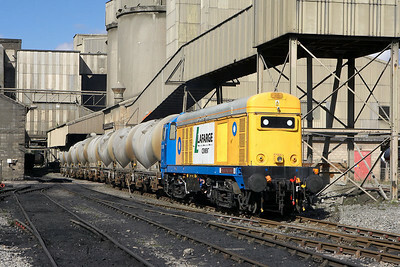 20905+20096 draw a train of coal through the coal discharge shed at Hope cement works on 16/09/2005.